Reginald Jebb married Eleanor Belloc and was thus Hilaire Belloc’s son-in-law. Jebb was a committed Distributist, and he, along with Hilary Pepler – the founder of St. Dominic’s Press in the Ditchling community – bought G.K.'s Weekly in 1936, following the death of G.K. Chesterton. The paper was renamed The Weekly Review, and Jebb edited it for almost ten years. With his wife he penned the 1956 work A Testimony to Hilaire Belloc, which was published by Methuen and Company of London. Herbert Shove was a Distributist, journalist, and Catholic Land Association Secretary. Born in Faversham, Kent, England, in the Canterbury parish, he lived as a child with his farming family on Queen Court Farm, in Ospringe. Shove joined the British Navy and served, as a Lieutenant Commander, as commander of Royal Navy Submarines C-2 (1915–1916) and E-29 (1915–1922) during World War I. During the latter assignment he was received into the Catholic Church by a Dominican Naval Chaplain. He was called up again during World War II for service organizing the defenses of the Port of London, and was promoted to Captain. He was later transferred to the Gold Coast where he suffered severely from the climate, such that he had to return to England where, shortly thereafter he died. He was recipient of the Distinguished Service Order and the Order of the British Empire. During the inter-war years, Shove lived at Hallett’s Farm at Ditchling, where he worked alongside the others in the village community of craftsmen and artisans effectively founded by Hilary Pepler and Eric Gill. There, Shove was especially well-known for his “illicit still”! Somewhat of an ideal Distributist, he was considered an authority on such varied arts as silversmithing – which he learned from fellow Ditchling resident craftsman Dunstan Prudan – beekeeping, farming, and distilling. 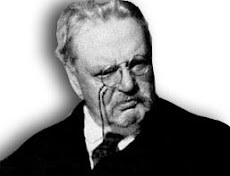 After the foundation of the Distributist League (specifically entitled the “League for the Defense of Liberty Through the Distribution of Property”), Shove collaborated with other well-known Distributists such as Hilaire Belloc and G. K. Chesterton. He devoted much of his mental energy to economic theory, the best expression of which can be found in his excellent book on the history of trade and manufacturing, The Fairy Ring of Commerce, which was published in 1930 by the Birmingham Branch of the Distributist League. According to Robbins, he and George Maxwell, a fellow Ditchling craftsman and Distributist persuaded Shove to commit to paper his engaging thesis on “the close and inevitable association between Industrialism and soil erosion with general exhaustion.” The book also discusses the rise of the wage system out of the cottage industries of rural England, stemming from the changes in England, going back to the Reformation, for the profit of the textile industries. It is by far the most thorough and scholarly treatment of the subject to come out of the Distributist circle, and the 1,000 copies printed were sold out, with a modest return coming back to author, financial guarantors, and the Birmingham branch: a modest success for the first and only foray by the English Distributists into full-length book publishing. As an amateur farmer, Shove also collaborated with land-movement activists and Distributists like K. L. Kenrick, Fr. Vincent McNabb, and Harold Robbins; he served as Chairman of the South of England Catholic Land Association. As a senior spokesman for the aims of the land movement, he contributed an essay to its “manifesto,” Flee to the Fields, entitled “The Rise and Fall of Industrialism,” which was later printed in the American Review in the United States. Fr. Brocard Sewell said that because of his beard Shove looked very much like William Morris. Records suggest that he died in hospital in 1950, at Mayday Hospital, Surrey. Fr. Rope was a priest, scholar, and Distributist who strongly supported the ideals and practice of the Catholic land movement. He converted to Catholicism in 1907, and in 1911 was admitted to Beda College, Rome, established for converts wishing to study for the priesthood. He was ordained in the Lateran Basilica in February of 1915. Fr. Rope served as a parish priest for 22 years in areas such as Cheshire and Shropshire, until being named archivist at the Venerabile, the English seminary in Rome. Rope was a true scholar who was conversant in a dozen languages and continued to contribute quotations to the Oxford English Dictionary and its Supplements up until his death. He wrote extensively for G.K.’s Weekly, The Weekly Review, the Dublin Review, and the Catholic World; and he wrote 10 books, among which are Forgotten England and Other Musings, Pugin, Fisher and More, and Benedict XV, the Pope of Peace. Fr. Rope possessed a powerful devotion to St. Pius X, even before his conversion to the Faith. Fr. John McQuillan, D.D. The few readily available records dealing with Dr. McQuillan’s life and work provide the following limited information. He effectively pioneered the idea and the establishment of the Catholic land movement. Already a prominent Distributist in Glasgow, Scotland, he established the first of the Catholic Land Associations – the Scottish Catholic Land Association – in 1929. Additionally, he edited Land for the People, the quarterly organ of the Scottish Catholic Land Association, from its inception in January, 1930. The following year the journal became the organ of the entire Catholic land movement, which by that time comprised six different Associations. In 1934 the Scottish Association desired – though McQuillan did not – to make Land for the People again an organ of the Scottish Association only, providentially giving rise to the Cross and the Plough which was founded as the journal of the Catholic Land Associations of England and Wales, and edited by Harold Robbins. McQuillan suffered great ill-health towards the end of his life, yet without his energetic work, according to Robbins, nothing would have arisen. George Maxwell was a Catholic layman, Third Order Dominican, Distributist, peasant proprietor, and carpenter who embodied in his lifestyle the ideals and attitudes that the Distributist League and the Catholic land movement were attempting to propagate. Originally a coach-builder from Birmingham, England, he was induced by Fr. Vincent McNabb to join the community of craftsmen and Distributists in Ditchling, a village in Sussex, England, in 1922. Ditchling was “founded” by Eric Gill, Hilary Pepler, and Edward Johnston, originally from Hammersmith, who moved to the village from 1913 to 1916 for various reasons, but soon found themselves united in an effort of rural craftsmanship and communal life. Maxwell was a handy man, skilled as a carpenter, wheelwright, and loom-builder. 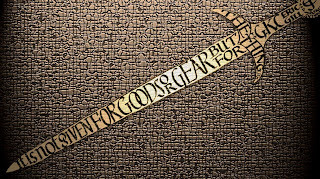 When he came to Ditchling, he became a member of the Guild of St. Joseph and St. Dominic, established by Eric Gill and Hilary Pepler to foster Catholic craftsmanship in theory and especially in pratice; for the Guild, “the principle of individual human responsibility being a fundamental of Catholic doctrine, and this principle involving the principles of ownership, workmen should own their tools, their workshops, and the product of their work.” As one of the village’s most skilled carpenters, Maxwell built his own carpenter’s shop, in order to provide furniture and other objects for the community, as well as his own furniture for his home, the Ferrers. During the 1930s he built his first loom, and in the aftermath of WWII he expanded this craft immensely, supplying art schools and workshops throughout England with looms. As an accomplished amateur builder, Maxwell built his own home at Ditchling and, along with the workshop for St. Dominic’s Press, several houses that belonged either to the Guild – incorporated for business purposes as the Spoil Bank Association, Ltd. – or members or supporters living at Ditchling. A good friend of Harold Robbins, whom he had known since 1919, he lived the Distributist ideal, working in his company while managing the land and livestock on his smallholding. Guildsmen such as Maxwell were required to be Third Order Dominicans; guild members met twice a day to recite the psalms and hymns of the Little Office of the Blessed Virgin Mary according to the Dominican rite, in the small chapel built near the workshops on the commons. Maxwell was an extremely knowledgeable Thomist, and he knew many other major philosophers well, both ancient and modern. He was therefore considered to be Ditchling’s “resident philosopher” and one of the deepest thinkers among the Distributists. His house was in fact the “principal port of call” for the men of the Guild to argue and talk over their ideas. He held rigidly to what Michael Sewell (later Fr. 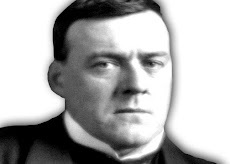 Brocard Sewell) calls the “stricter” school of Distributism, thinking even Belloc and Chesterton heterodox on certain points. As an illustration of his intransigence it may be pointed out that later in his life he began to disapprove of some of Maritain’s philosophies, though the bulk of Distributist League members saw Maritain in the light in which St. Thomas saw Aristotle: as the philosopher. Fr. Sewell relates in his memoirs that many of the younger Distributists who were faced with conscription for World War II consulted Maxwell for his assessment on a book on just war doctrine – which effectively implied the injustice of England’s participation in the war – by the well-known German Thomist, Fr. Francis Stratmann. Maxwell’s verdict was that he found Stratmann’s position unimpeachable; as an illustration of Maxwell’s sound grasp of the philosophy, others who shared his assessment of Stratmann’s work were the English Dominican Fr. 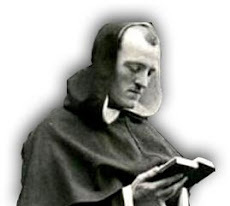 Gerald Vann, O.P., Fr. Francis Drinkwater, and the well-known English Catholic writers Donald Attwater, E. I. Watkin, and Eric Gill. Maxwell contributed frequently to G.K.’s Weekly and Cross and Plough, the English Catholic Land Association journal. As a supporter of the land movement he contributed an essay on craftsmanship to the important anthology Flee to the Fields. He died in 1957, leaving his son, John, to continue the work at his shop. Distributist, journalist, and Catholic Land Association collaborator, Kenrick was born in Denbighshire, Wales, in the early 1880s and became a schoolmaster, teaching in Birmingham. He was active in the circle around the New Witness and its corresponding league, and was one of the earliest thinkers and writers who worked out the doctrine of Distributism in the early 1920s, along with Fr. Vincent McNabb, Eric Gill, and Fr. John McQuillan. He succeeded Brian Harley as Honorary Secretary of the Birmingham branch of the New Witness League – which had Harold Robbins, his chief collaborator, as its secretary – and served in the same post for the local branch of the Distributist League as well, which also numbered within its ranks others such as Father Austen Barker, O.P., along with Harley and Robbins. With Robbins, Kenrick drafted in 1928 the pamphlet, Unemployment: A Distributist Solution, which ultimately became known as the “Birmingham Scheme.” It was a visionary and practical document, explaining how the massive unemployment of the late 1920s could be resolved by the training and settlement of unemployed folk on the land as smallholders. This proposal became a milestone for the Distributist movement insofar as it represented a coherent and clearly articulated proposal, bringing Distributist ideas into practical realization. Altogether some 20,000 copies of the pamphlet were distributed. Its cost figures were updated in 1932, and a copy was distributed to every Member of Parliament and selected members of the House of Lords, though it had no influence on government policies. It continued to be updated through at least 1935. Kennrick was a regular contributor to G.K.’s Weekly, as he was to the New Witness earlier on; he was, according to Fr. Brocard Sewell, held in “very high regard” by G. K. Chesterton. The works he produced for the Distributist League include What is Distributism? which was published in 1926 by the Distributist League in London in a pamphlet which included Chesterton’s The Purpose of the League; and The War on the Weak, published in 1930. The latter was central to the League’s anti-eugenics campaign. Kenrick also contributed a chapter – “The Case for the Peasant” – to the important anthology Flee to the Fields, which served as a manifesto for the Catholic Land Associations in England and Wales, which Kenrick supported with fellow Distributists Herbert Shove, Fr. McNabb, and Robbins. The book’s importance can best be illustrated by comparing it to I’ll Take My Stand, the manifesto of the American Southern Agrarians, and Rural Roads to Security and the Manifesto on Rural Life, the equivalent works for the Catholic “land movement” – i.e., the National Catholic Rural Life Conference – in the United States. Harold Robbins, in The Last of the Realists, calls Mgr. Dey “the greatest figure thrown up in England by the land movement.” Ordained in 1894 and commissioned as an Army Chaplain in 1903, Dey (1869-1946) served in various posts with the British Armed Forces over the course of twenty-six years. In 1928 he was made a Domestic Prelate; the following year he was appointed Rector of Oscott College, a seminary founded in 1794 for the training of priests for England and Wales, and which was a symbol, during the 19th century, of the renewal of English Catholic life. Thanks to his position as Rector of the College, all the major conferences of the Catholic land movement between 1930 and 1935 were held at Oscott. Dey had been a Distributist from his earliest years, and thus he did all he could to promote the Movement among the Catholic clergy. In 1935 he was made Bishop of Sebastopolis and Ordinary to His Majesty’s Armed Forces. Copyright © 2007 IHS Press. All Rights Reserved.